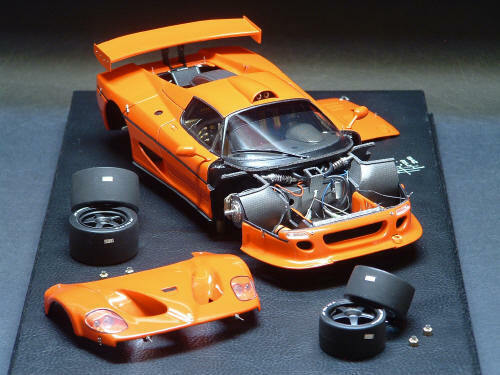 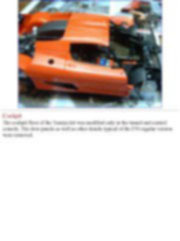 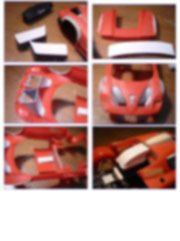 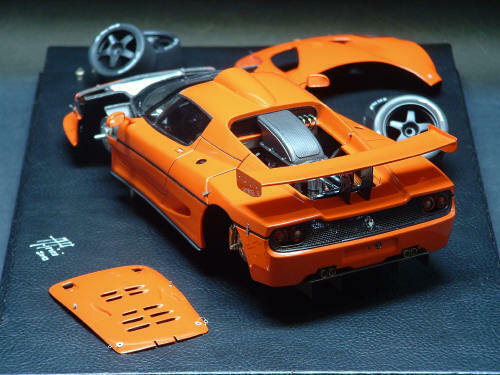 Several years ago, I decided to build a GT without the help of conversion kits, creating my own. 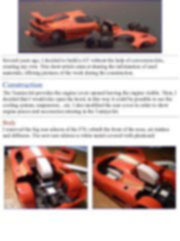 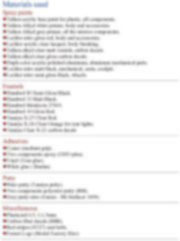 This short article aims at sharing the information of used materials, offering pictures of the work during the construction. 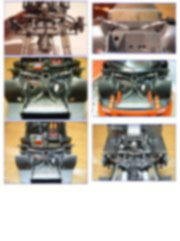 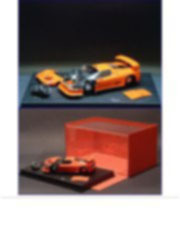 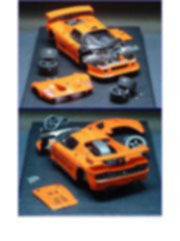 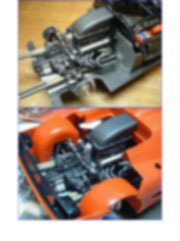 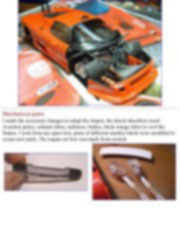 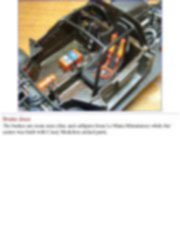 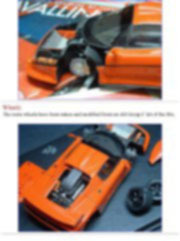 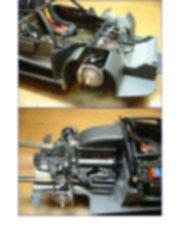 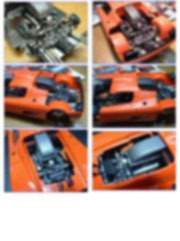 The Tamiya kit provides the engine cover opened leaving the engine visible. 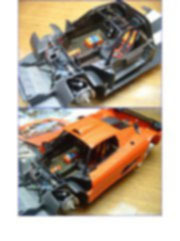 Then, I decided that I would also open the hood, in this way it could be possible to see the cooling system, suspension…etc. 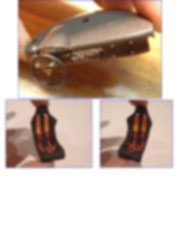 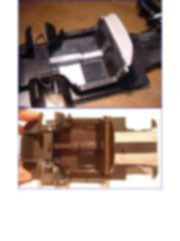 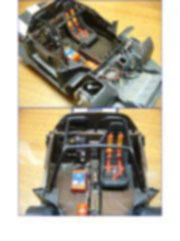 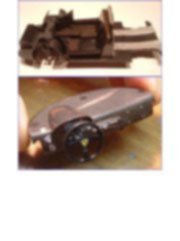 I also modified the rear cover in order to show engine pieces and accessories missing in the Tamiya kit. 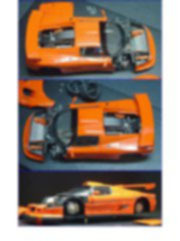 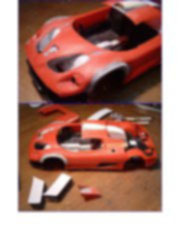 I removed the big rear aileron of the F50, rebuilt the front of the nose, air intakes and diffusers. 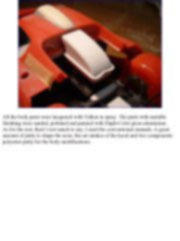 The new rear aileron is white metal covered with plasticard.